This 280,000 sq ft High School spreads over a 60 acre property. The project combined typical masonry and steel design elements with a unique use of exposed concrete elements. 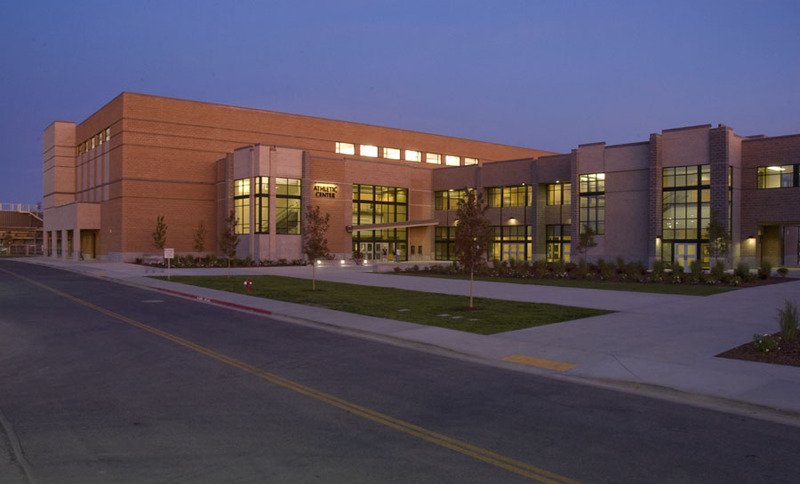 This facility highlights a 100 ft clear span gymnasium with 50 ft high CMU walls, a performing arts auditorium, exposed concrete media center, and other architectural details.